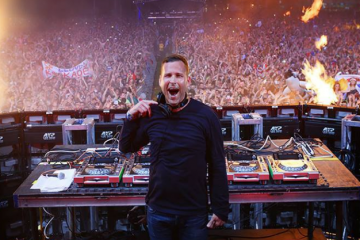 The legacy of Kaskade’s infectious melodic anthems lives on in his Arkade label. The latest offering from it Lipless, an artist who hails from the city of Somewhere(located in Some Country, according to his Facebook). Lipless’s EP starts off with a bang; Give Me a Sign injects poetic lyrics into a smash hit of a production. This striking start is followed by the title track and its slowly unfolding energy, as guided by Haley’s famous vocals. Two of Us completes the saga as the final tune, maintaining the mellow vibes but with a whole new box of sounds and yet another well thought out musical sequence. With music like this in its roster, it’s no wonder we’re already seeing the Arkade symbol on snapbacks in public. You can buy the full EP right now and follow Arkade on Facebook.